What to say when a book leaves you silent? Profoundly, deep-in-thought, don't-speak-to-me silent. Last semester I had the privilege of having Olga Lorenzo as my fiction teacher in the Professional Writing & Editing course at RMIT. I wasn't the only one in the class who didn't want it to end, wanted to stay on and do the whole thing over again. Like Oliver, I wanted more. I had read Olga's latest book, The Light on the Water, and was affected by the portrayal of the protagonist's alienation, from some of those who should have loved and supported her in her time of crisis. 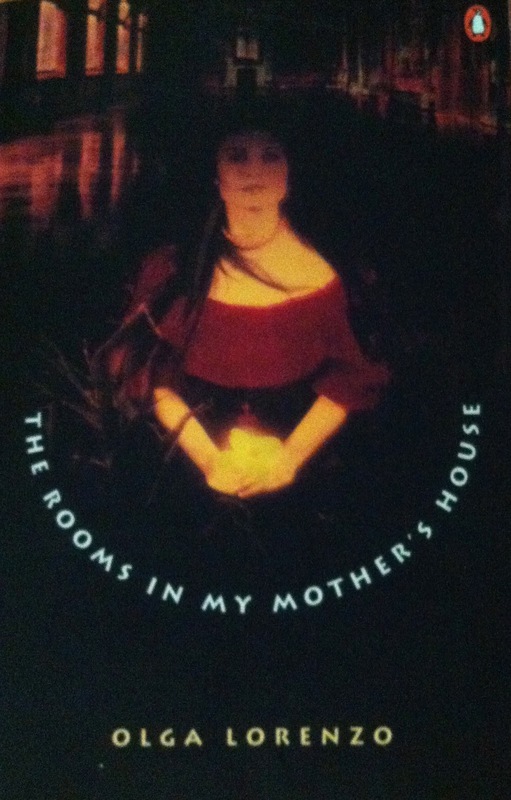 So I badly wanted to read Olga's first novel The Rooms in My Mother's House, published in 1996. I'd previously made cursory searches on various online sources to no avail but one day, just before Christmas, as I browsed the shelves of one of my best secondhand bookshops, there it was, the pages browning at the edges but otherwise pristine and still with the Penguin's 20-year-old bookmark in the front. Where has it been all the years? You can read in any reference that the story charts the lives of three generations of women—the Santiagos: Dolores, Consuelo and Ana—and their family's flight from Cuba as the revolution unfolds. This does nothing to prepare you for being immersed in the relentless anguish of their lives nor for understanding the elements of love that prevail against seemingly insurmountable odds. 'But what was it like?' a reader friend persisted as I struggled to describe it. I might need to read it again. There was shame, longing, injustice, loss, nostalgia, endurance, bitterness and love. Despite all that, love. When I first (with a lot of help) created this website I had a section for Swooners - snippets of writing that stopped me in my tracks to read the words over and over again. I didn't keep it up for very long. My criteria were perhaps too stringent. But there were plenty off passages in this books that made me stop and mark the pages. "...and you grip the chipped platter with the fading roses, the little china cup. They are testimonials to the past wealth of the family, to its substance, or merely to the fact that it was - there was a past, and here is the link, we've held on to this, this small piece of evidence. The Santiagos had nothing like this." How much does this say! "Consuelo's grandfather worked slowly, in rhythm with the droning world, swing bend toss, slashing alone at the solid walls of humming cane, the stalks flying up, slapping his face and him slapping them back down, killing them for good." "It is an evil myth that the bad things that happen in your childhood strengthen you. They never do." "Consuelo hummed bits of songs. She couldn't remember the words. She couldn't finish anything, couldn't connect. Words images songs memories and things she would have to do tomorrow passed through her mind like meteorites.." and ... pawpaws hanging off trees like hungry puppies. The final pages I could quote in their entirety, knowing you too will swoon, but I won't because after all, they are the final pages. I've spent much of this hot, hot day combing the internet for information about Cuba, the revolution, this book and what Olga is going to do next. I sat up very straight and very suddenly when I read that she is working on another novel - an ambitious novel - set in Cuba during the revolution. While we're waiting for that, I hope you search for and find a copy of The Rooms in My Mother's House - because you're not getting mine.